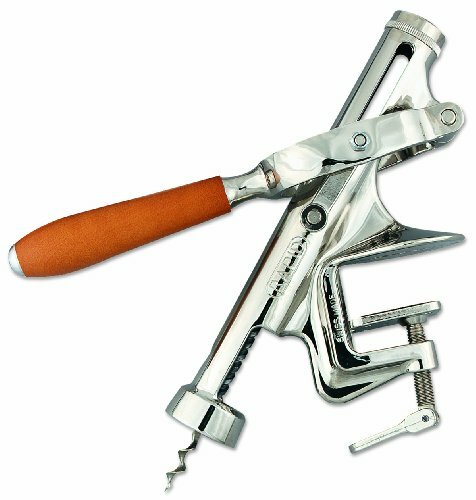 Simple and easy to operate, the 'Rapid' automatic cork puller greatly reduces the time and effort required to extract corks. Its Swiss-made precision mechanism assures years of trouble-free service with professional results. Mounts on table top with attached C-clamp. A complete selection of replacement parts is available. Professional presentation and precision epitomize Alegacy's selection of corkscrews and cork removers made from the highest quality materials to ensure years of dependable use. If you have any questions about this product by Alegacy, contact us by completing and submitting the form below. If you are looking for a specif part number, please include it with your message.